Norton revealed two sketches showing a new scrambler that will debut in November. 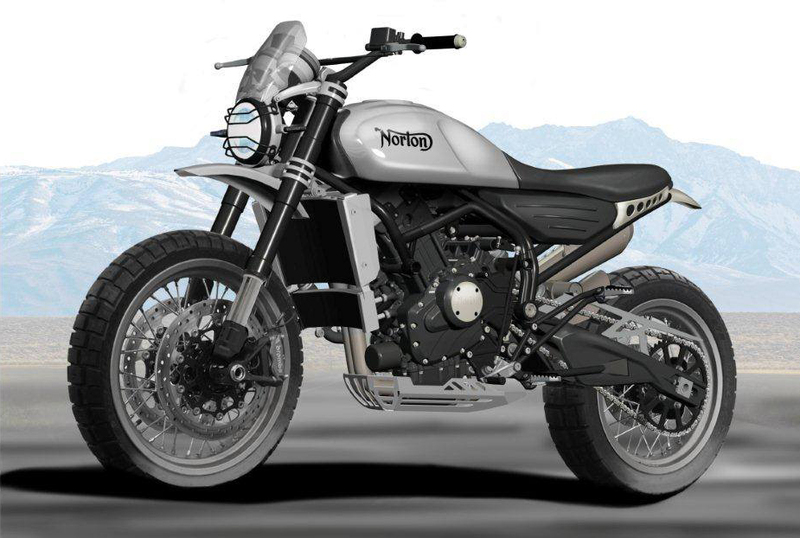 The 2019 Norton Atlas will be powered by a new 650cc Twin powerplant with a target price of about £10,000 (US$13,200). The Atlas revives a name from Norton’s past. The original Norton Atlas was introduced in 1962, with an aircooled 745cc Twin. 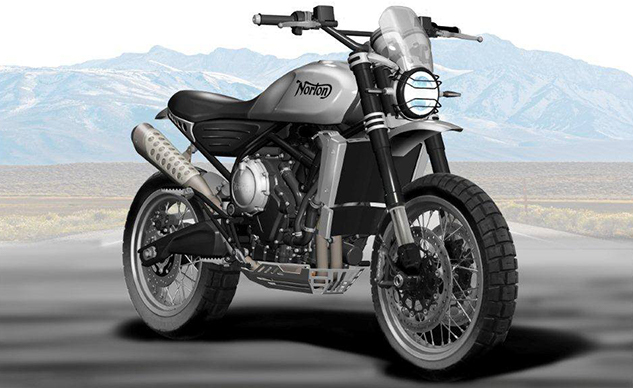 At the time, it was the largest engine the company had ever produced, thanks to an increase in bore and stroke from the Norton Dominator‘s 497cc engine. The sketches reveal a steel tube frame, rising exhaust, wire-spoke wheels, twin front disc brakes and an upside-down fork. The circular headlight is bracketed by a pointy beak of a fender and a small windscreen. Having said that, some details may change between now and when the Atlas will make its public debut in the fall at the U.K.’s NEC show.